Made in a wide choice of fabrics and in two different sizes these are Coleford Sofabeds from Gallery Direct. The mechanism that pulls out is a two fold action and is made out of Tubular steel with webbed and slatted areas to support the mattress. Back & seat cushions are loose and reversible and filled with resilient fibre interiors for everyday use. We offer free delivery across mainland England, Wales & Southern Scotland and this collection usually has a lead time or around 4-6 weeks, but if you need it sooner please call us to discuss and we'll see what we can do. 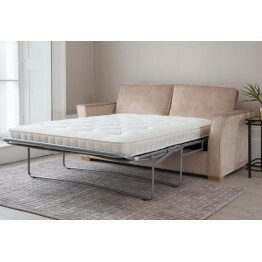 This Contemporary Styled Coleford 120 Sofabed from Gallery Direct ( Hudson Living) which can be orde.. 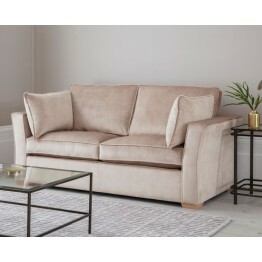 This Contemporary Styled Coleford 140 Sofabed from Gallery Direct (Hudson Living) which can be order..